Edward Backhouse is working as System administrator at GurukulOnCloud. At GurukulOnCloud they have just streamlined automation for Sales Processes. To do so, Edward created one Process with thirty criteria nodes. Today, however, Edward received a requirement to bypass this process for System Administrator profile so that, when a System Administrator performs bulk updates to Opportunity records via Data Loader, it will not trigger the Process. hold the keys to the kingdom! By using custom permissions, one can grant users access to custom apps. In Salesforce, one can use custom permissions to check which users can access certain functionalities. Via custom permissions, it is possible to define access checks that then can be assigned to users via permission sets or profiles – similar to how one assigns user permissions and other access settings. Indeed, one can even use custom permission to bypass validation rule for certain users or profiles! To assign a custom permission to a profile (you can also assign it to Permission Set), navigate to Setup (Gear Icon) | Setup | Users | Profiles and open the System Administrator profile. Then navigate to Apps | Custom Permission and click on the Edit button. 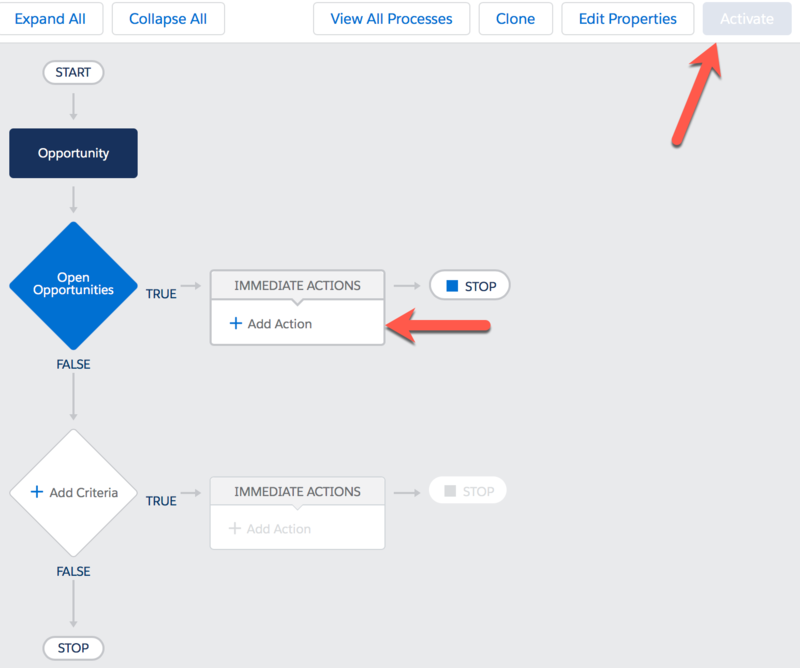 Object-specific actions allow you to create records that have automatic relationships to other records, make updates to specific records, and interact with records in ways that you define. We will use a quick action on the Opportunity Object to update the record. Once you are done, click on the Save button. If you get any warning pop-up screen, make sure to select Yes. To meet Edward’s new business requirement, modify the existing Process by adding an 11th criteria node to the process. Now reorder your process criteria! It means, drags the 11th criteria – Bypass for custom permission (which we added just now) – to the first place and make it the 1st criteria of the Process. This means that no subsequent criteria in the Process will be evaluated if logged-in user is a System Administrator – We could accomplish this because we assigned a custom permission to the System Administrator’s Profile. 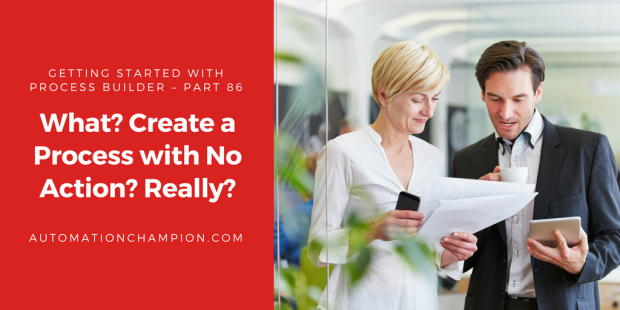 Next time, when Opportunity records are created or updated, by the user, the process we created (Using Process Builder) will fire and check the criteria – does the logged-in user have custom permission assigned via Profile or Permission Set? – if so then, the system will bypass the Process completely. You can also check the Execution Log to better understand how SOQL and DML are used in this Process. Wasn’t that a great journey? Now you know how to turn, triggering of a Process, On/Off, by leveraging the power of Custom Permissions!